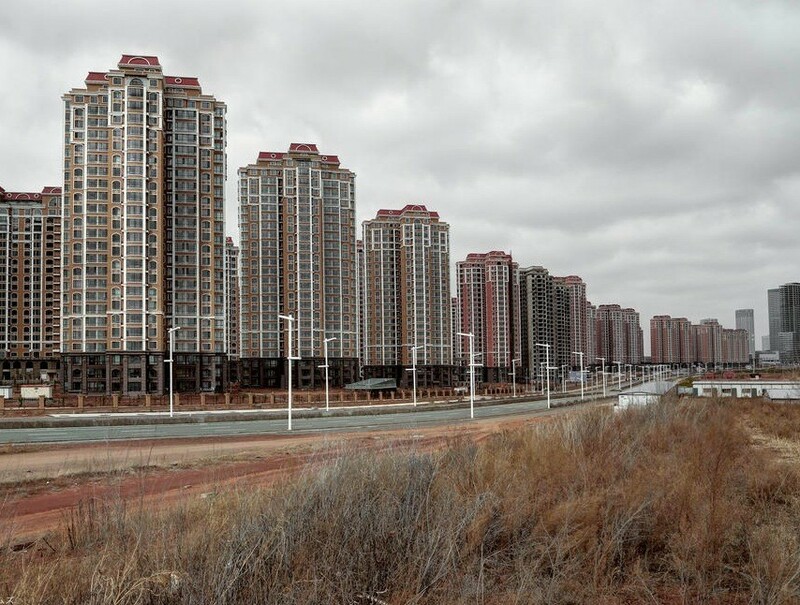 Kangbashi in northern China is a ghost city. Towering apartment blocks are almost completely empty. 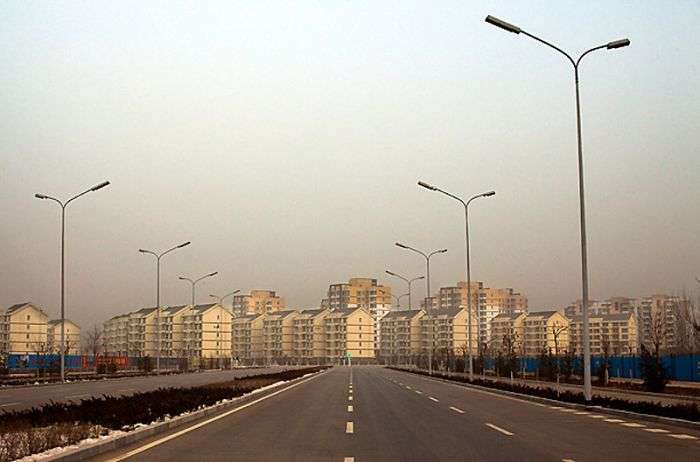 Streets are deserted.Built in 2010 as a modern metropolis to house a million people it has everything except people. The empty streets and mostly empty apartment buildings of Kangbashi, photographed in the afternoon. 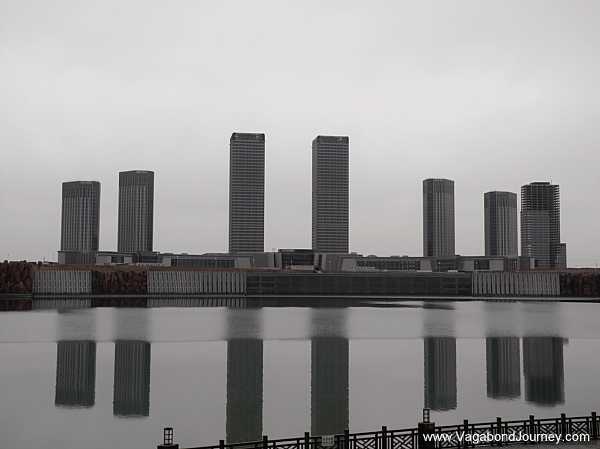 The empty streets and mostly empty apartment buildings of Kangbashi, photographed in the morning. Kangbashi has inspired a modern day fable about money. Cathedrals is a stunning 15 minute video directed by Konrad Kaestner that uses ghostly images of Kangbashi to illustrate a story, written by children’s author Michael Ende, about a cathedral full of money worshippers who believe that “Money Is Truth”. 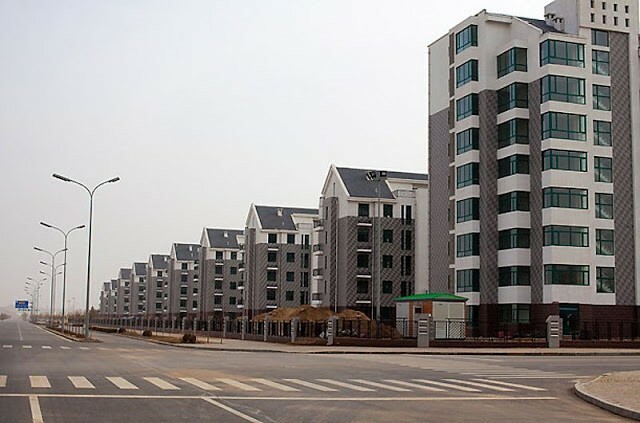 Recently the city has started to fill up with people as Chinese farmers are being encouraged to move to the area. But its still an eerie place.